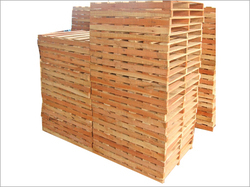 We are engaged in providing high quality Two Way Wooden Pallets to the customers. Made using unprocessed raw wood, the pallets offered by us are known for their excellent strength and durability. Our range of pallets is widely demanded by the clients as it caters the storage requirements of shipping industry and others. 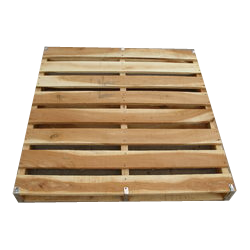 Our company has created niche in the field of offering Two Way Wooden Pallet to the clients. Two Way Wooden Pallet is provided by professionals is widely valued for rigid construction, excellent strength and flawless finish. This product is widely demanded for packaging in order to transport them safely without any damage. We have carved a niche amongst the most trusted names in this business, engaged in offering comprehensive range of Two Way Wooden Pallet. *Note:Prices are depends on the sizes and thickness. These are open from two sides and are used for safely store and pack light as well as bulky items that are to be exported. Moreover, the Two Way Wooden Pallet promotes safe and sound transit of various goods such as, tiles, slabs and other same kind of items.